The Mars Area School Board has decided to reset their Middle School project into more of a renovation rather than a large new construction project. Representatives from construction managing company Thomas and Williamson set out a proposal and timeline during a school board meeting Tuesday night. At a cost of $12.4 million, this plan would keep the existing footprint of the building while focusing upgrades in the areas of roof, windows, flooring, restrooms, kitchen equipment, ventilation, lighting, sidewalks, curbs and paving. The board is expected to decide at their meeting next month if they would like to also enter into a $2 million option to remodel some classroom areas in order to better accomplish instructional goals. This project is expected to move into the design phase next with bids going out in March, and being awarded in April. The district already has the money to pay for this project thanks to a fund dedicated to capital projects and a previous bond issue. 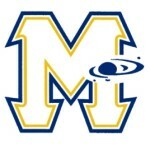 The post Mars School Board Considers Options For Middle School appeared first on ButlerRadio.com – Butler, PA.